I've been using for about a year, I am very satisfied. Thanks all templatemonster team. 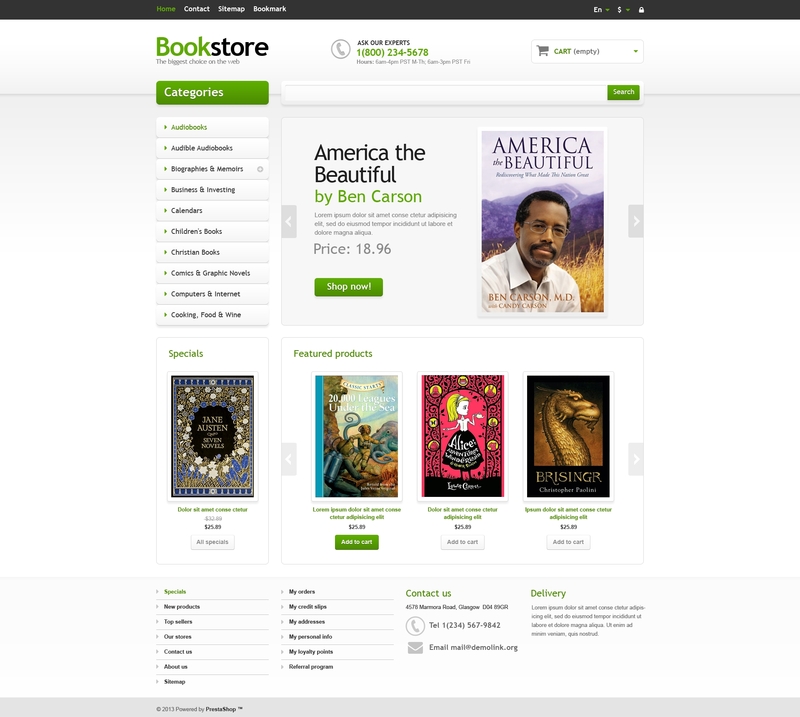 The layout of the store is absolutely neutral with pleasant green elements guiding user's eye through the page. Long noticeable Search bar is on top of the page. Books categories and Specials are placed in the left sidebar. Two sliders let to present as many items as you wish right on the home page. Contact and Delivery information can be found in the footer. I&#039;ve been using for about a year, I am very satisfied. Thanks all templatemonster team.